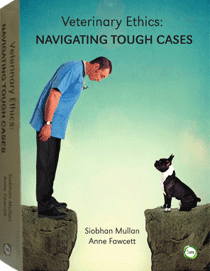 Companion animals need help in all kinds of places. Dr Nicholls discusses how vets and vet students can lend a hand. 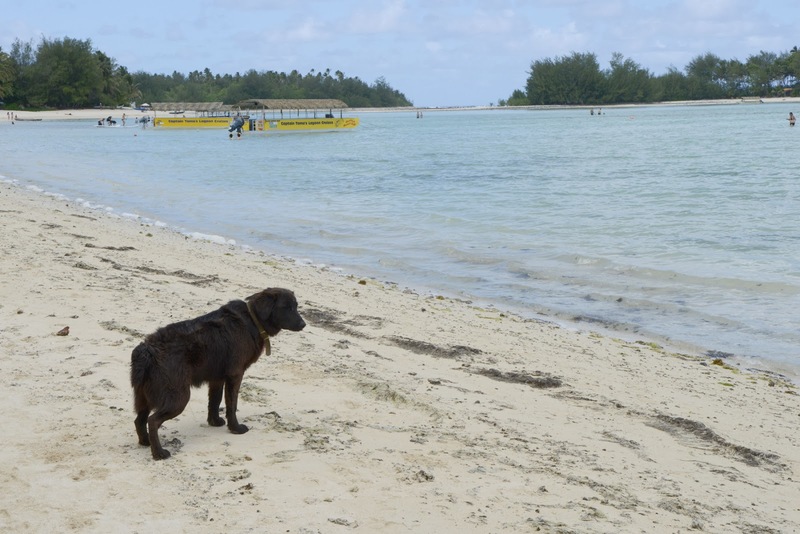 As we continue our Cook Islands theme this week, SAT had the opportunity to interview Dr Barry Nicholls, a veterinarian who was bitten by the volunteering bug. Volunteering is something we tend to think about early on in our careers, but we can say from experience that it gets more rewarding. And there's nothing like a field hospital to open your eyes to different ways of doing things, as Dr Nicholls explains. 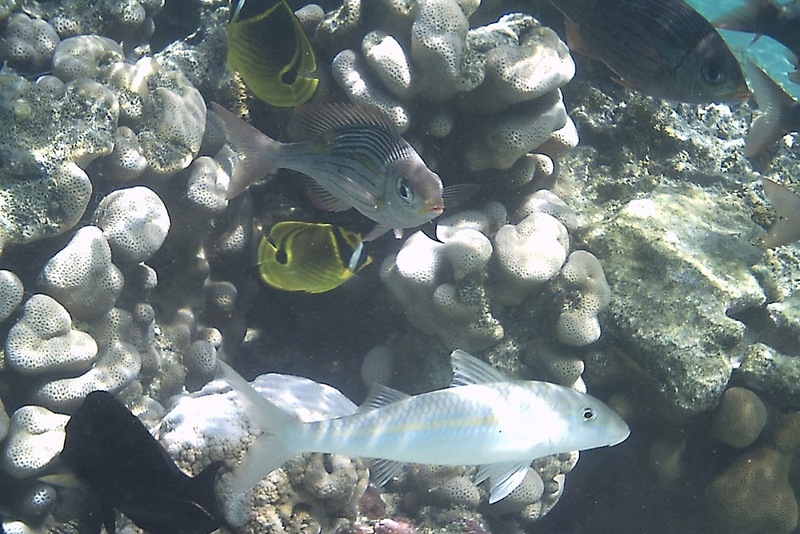 He has volunteered not only in Cook Islands, but around the world. Dr Nicholls and wife Anna with a patient. Where did you come from and where did you do your vet training? I am from Anniston in Northeast Alabama (USA) and attended Auburn University. What prompted you to want to become a vet? I have always had an interest in the biological sciences and a fascination with animals: wildlife and pets. I am one of seven doctors in a busy 24-hour practice. We see small animal patients - from dogs and cats to birds, snakes, iguanas. 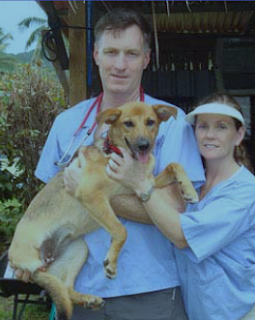 How did you become a veterinary volunteer? It really all started when I read an article in a veterinary journal about the Esther Honey Foundation (EHF). Volunteering there seemed like an exciting and altruistic thing to do so I contacted Cathy Sue Anunsen and found out a veterinarian was needed for a few weeks in the winter of 1996. I "signed up" and my wife gamely agreed to go along. The experience at EHF was life-changing. The local Cook Islanders were so friendly, helpful and appreciative. The EHF is fortunate enough to have a clinic. 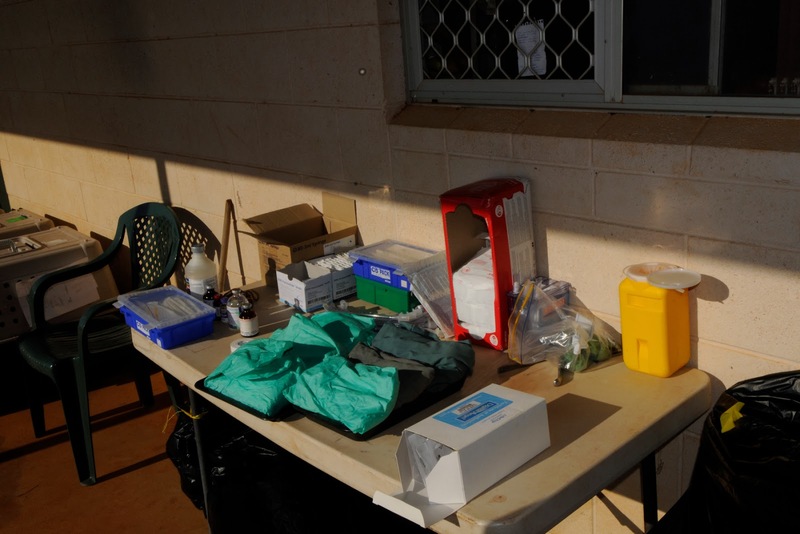 This photo is an example of a field hospital station from another volunteer spay/neuter program. Knowing what to pack is important! Can you tell us about the places you have volunteered? Some of the places have been operational clinics (actual buildings), but I have worked temporary stints in other places in whatever building, shed, school, etc. was provided; once even an old jail. Makes volunteering interesting. Countries so far: Costa Rica, Honduras, Colombia, Nicaragua, Thailand, Panama, Cook Islands. What do you like about being a volunteer? The best: the feeling that you are making a difference. The camaraderie is also fun and the feeling that you are, sort of, "a local". What different skills does a volunteer veterinarian need? It's important to have a broad range of veterinary skills along with good communication skills. But, far and away, the most important skill is a willingness to adapt and work with what you have on hand. What sorts of things do you always pack when you go on a volunteer mission? I always take a good headlamp (200 lumens with rechargeable battery) for surgery and a pair of good needle holders. A vial of surgical glue often comes in handy too. Now, I also always take gigli wire in addition to a special Gerber knife after a volunteer stint in Nicaragua in which I had to amputate the hindlimb of a pet dog. The dog was brought in to our sterilization clinic with a severe fracture and vascular injury to her distal tibia / paw. We had no gigli wire, no bone saw. So, I used the serrated edge of a Gerber knife to saw through the femur while 12 Nicaraguan children watched. Fortunately, the dog did fine. I received followup photos 6 weeks post-op and she was managing well on three legs. Which have been your favourite places to volunteer and why? Esther Honey runs a model clinic to me and I am very comfortable there. Also - Phangan Animal Care in Koh Phangan, Thailand, because of the friendly and helpful staff. Volunteering can be hard work, the hours are long and the patients don't stop needed help. But it often offers unique opportunities to recharge. For various reasons, some veterinarians and vet students are unable to volunteer (financial, family commitments etc.). How can they make a difference? Those who can't go can always be "a connector" - spreading the word about the good organizations that are out there. Another way to help: Helping to collect supplies (for example, extra suture or bandage material) is often needed by non-profit groups. Couriers can sometimes be found to take these supplies. Finding a sponsor would be a way to overcome the financial obstacle for a vet student or young veterinarian. Thank you Dr Nicholls for your time!